This photo is a favorite from one of our several trips to the Cotswolds. 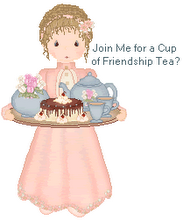 What a darling tea shop window! 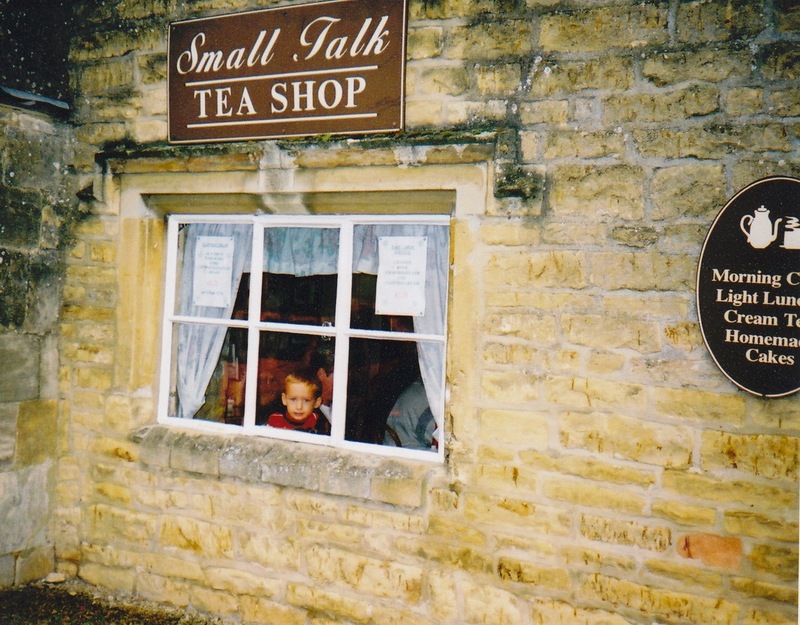 Good photo of the tea shop. Enjoy your break. Oh Linda, I can't believe how little and sweet he is. You sure started him early. Same face peaking out of the window. You can recognize him for sure. Love the contrast in photos between this one and the 'back to school' photo in your previous post! Enjoy your break! Do we ever really 'catch up'? I can see why it would be a favorite. What a lucky Austin to have traveled so often and so many tea times. You definitely started him off on the right foot!